The continuation of important developments in international law will occur next week when the trial for Salim Ayyash and his associates restarts at the Special Tribunal for Lebanon (STL) in The Hague, Netherlands. The STL is unique; it is the first time that an international court has been given the ability to charge and prosecute an individual who is accused of terrorism or terrorism related activities. The STL was created in the aftermath of Feb 14, 2005 bombings in Beirut, Lebanon, where former Lebanese prime minister Rafik Hariri and 22 other individuals were killed by an explosion. Five men were indicted by the court in Ayyash et. al. : Mustafa Badreddine, Hassan Merhi, Hussein Oneissi, Assad Sabra, and Ayyash himself. All men have ties to Hezbollah, the Lebanese Shia militant group. The trial for the men will be held in absentia as Hezbollah has refused to turn over the accused to the court. The commencement of a trial is an important milestone. Now that the court is past the idealistic development phase that most international institutions go through, it can begin to exercise the power that the international community has granted it. However, Hezbollah’s refusal to turn over the men to the court has undermined some of its abilities already. Currently, there are two permanent international courts. The International Court of Justice (ICJ) is a court where a country brings a case against another country. If an individual needs to be prosecuted under international law, then they go to the International Criminal Court (ICC). However, the ICC has limited scope. Its judges can only hear cases that address war crimes, crimes against humanity, and genocide. Terrorism falls in none of these three categories and consequently an accused terrorist cannot be tried at the ICC. Plenty of cases of terrorism have been tried in domestic courts. However, having terrorism be tried in an international tribunal such as the Special Tribunal for Lebanon has advantages over domestic courts. Since the courts are allowed to use both domestic and international law, they can charge an individual with a much larger array of crimes. Further, an international tribunal can help reduce the political tension that is brought on by a domestic trial. The Special Tribunal for Lebanon is held in The Hague due to the security concerns. The trial is scheduled to continue from July 12 to 26, 2016 after commencing in May 2014. While the judges’ decision won’t be known until many months from now, the trial process itself is a significant development in how the international community handles suspected terrorists and terrorism. 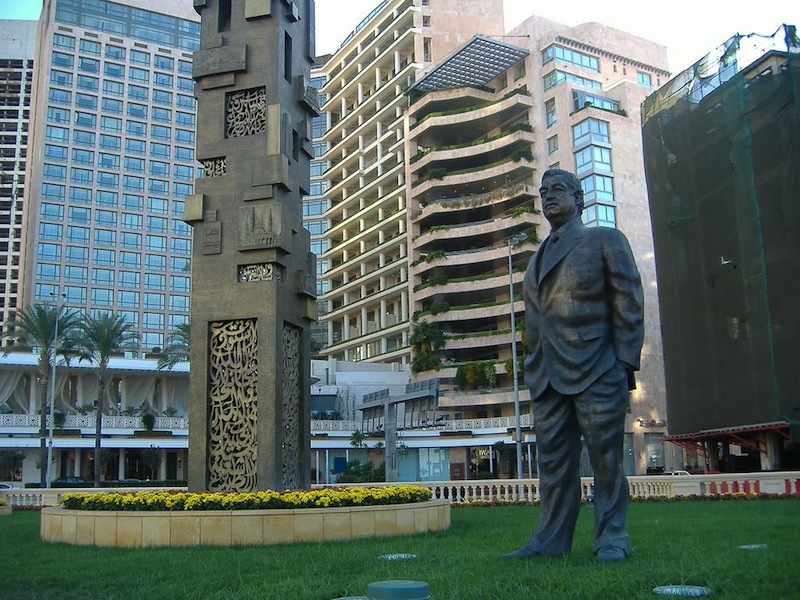 Photo: The Rafik Hariri Memorial Garden in Beirut, Lebanon, courtesy of A.K. Kahlifeh via Wikimedia Commons. Public Domain.